BMX Hobbies.com’s goal is to provide BMXers the following services to help them enjoy their BMX riding where ever they may be. These services include a BMX Race Track Directory, Bike Shop Directory, Trails, Skatepark, Indoor Facility Directory, and a How-to Bike Repairs section. We will be working hard to provide the most up to date and current content for all the directories. If you would like to help provide up to date information for any of our BMX directories, please visit our Contact page. BMX Race Track Directory: We will be providing a BMX track directory for all BMX tracks around the world for your racing pleasure. We will try to provide with each directory listing: the location of the BMX track, contact information, BMX race schedule, track reviews and anything else that we can provide to you about the BMX track. 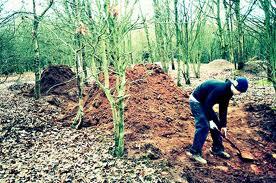 Most of this information will be provided by BMX track operators and readers like you. BMX Bike Shop Directory: This directory will be provided to help BMXers find a BMX repair and parts shop where ever they may be in their travels. It will also help new people who are looking for a BMX shop to help them get their first bikes. We will try to provide with each directory listing: the location of the bike shop, contact information, hours of operation, and anything else that we can provide to you about the bike shop. Most of this information will be provided by bike shop owners and readers like you. Trails, Skatepark, Indoor Directory: This directory will help provide riders with the locations of known trails that they can ride. Skateparks that allow BMX Bikes and indoor riding facilities. Most BMX riders, when they are traveling to new areas, would like to know where the local trails, skateparks, and indoor facilities are that they can ride. We will help to pin point the location of these trails, skateparks and indoor facilities with the help of information provided by you the reader, BMX riders, and operators of the facilities. How-to Bike Repairs: Here we will be providing how-to bike repairs that you can do yourself to help you keep your BMX bike in tip top shape. These how-to’s will be provided by bike shop BMX mechanics in written form and maybe some how-to videos also. All these services are provided to BMXers no matter what type of BMX bikes that they ride or what types of BMXing that they enjoy. All BMX riders should always wear proper protection equipment when riding, especially their helmet.